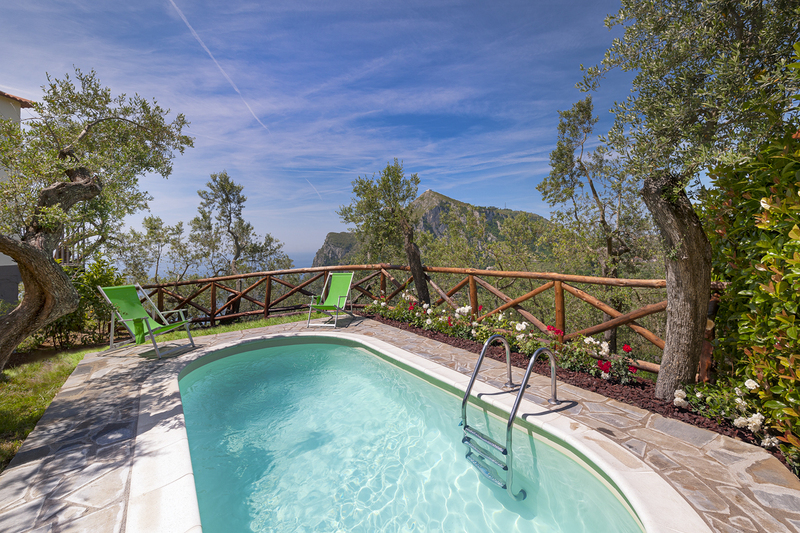 Dramatic vistas and a true sense of tranquillity will make your stay at Villa Tuoro a very special one. 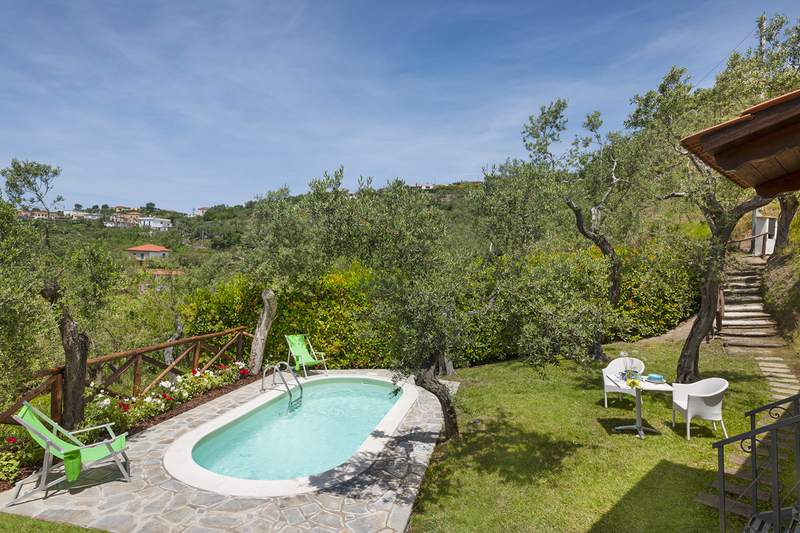 In a rural, truly unspoilt setting in the middle of the Sorrento Peninsula, this south-facing villa is just 3km from Sant'Agata Sui Due Golfi and around 4km from the coast, blessing it with stunning views. 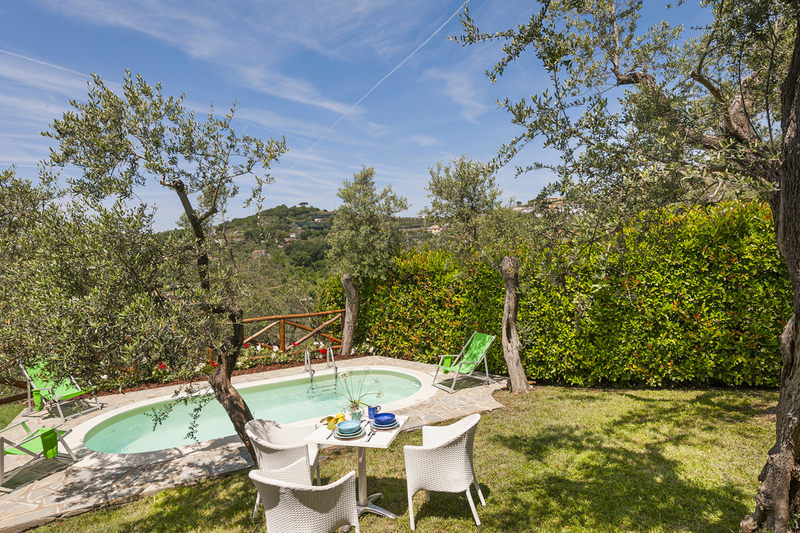 More intimate than many properties in the area, Villa Tuoro is ideal for up to 6 guests. 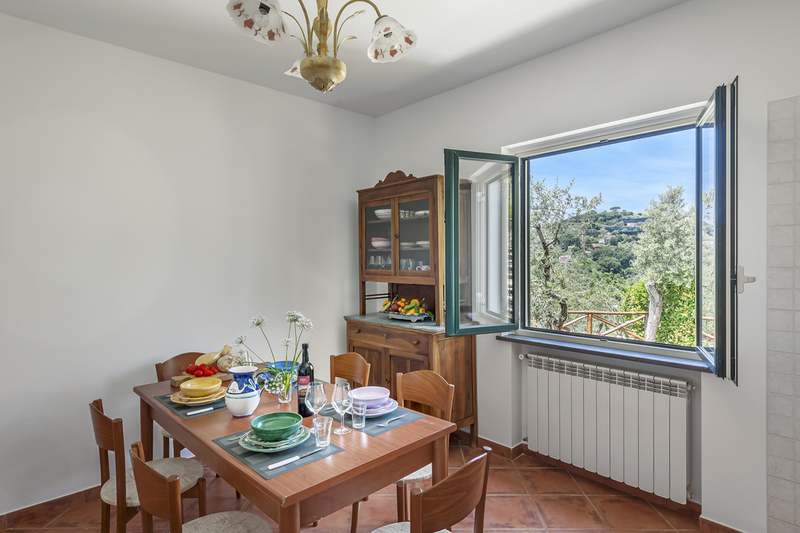 It sits in a sunny garden of 200 sqm, with a barbecue and dining area. Sun loungers are ideal for relaxing beside the pool which is available to use between April and October. 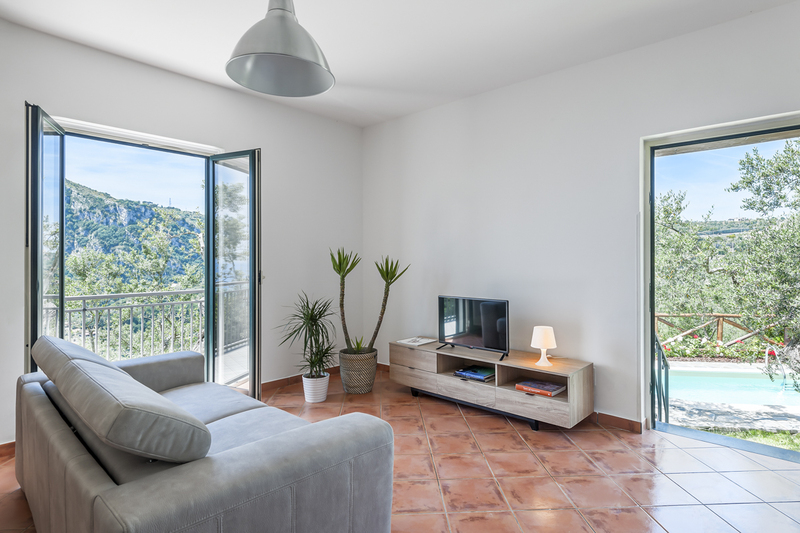 The accommodation is found all on one level, with a living room featuring a dining table and chairs, fireplace, TV and a comfortable sofa-bed. Doors lead straight from this room onto the terrace, which looks out on the sea and beautiful surrounding countryside. A large, recently refurbished kitchen with table for sox has it all, from an oven and fridge to a kettle and Italian coffee machine. 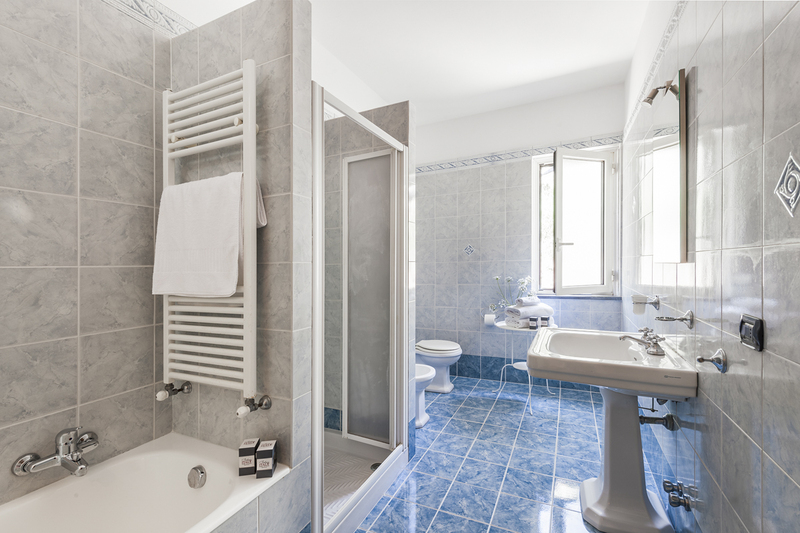 Spacious bathroom is decorated with hand-crafted tiles and offers you a bathtub, separate shower, bidet, basin and WC. 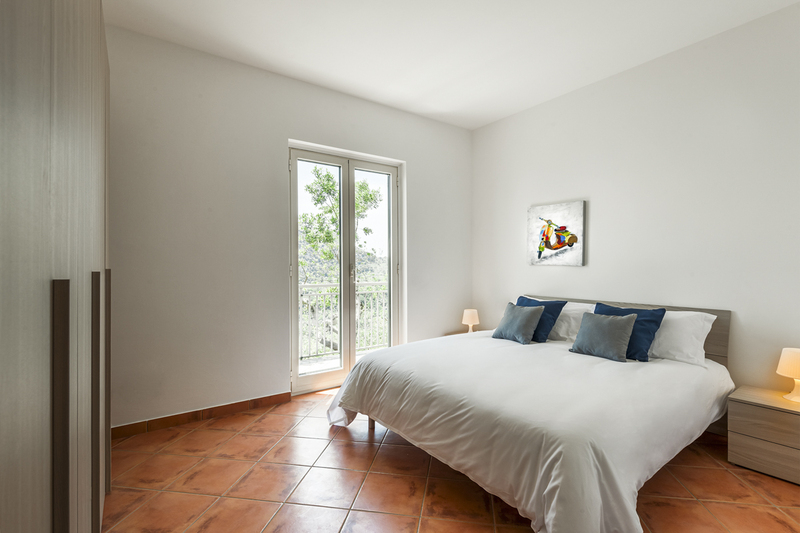 Two bedrooms complete the picture – a double with a view out to the terrace, and a twin room featuring a shuttered window with a view of the garden. 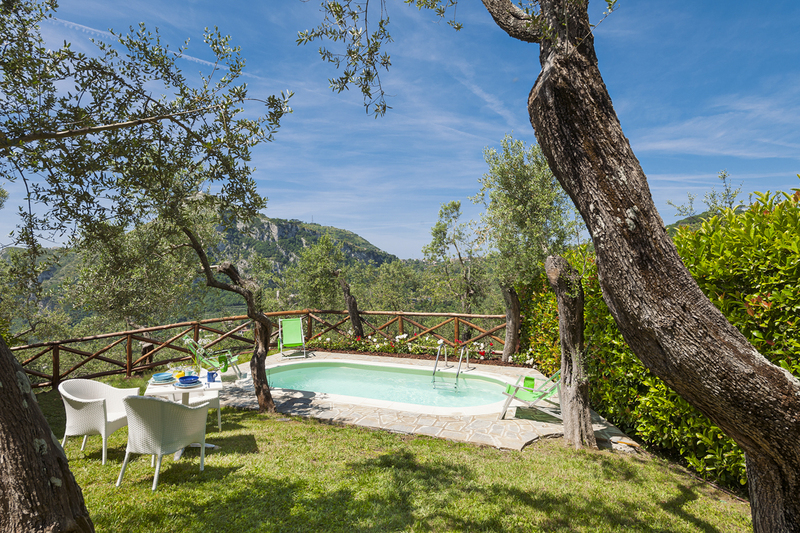 The location of Villa Tuoro makes it easy to get out and explore this incredible Italian region. Sant'Agata Sui Due Golfi, the nearest town, has all you will need to eat well – from bars and restaurants to specialist shops like pasta makers and gelaterias. 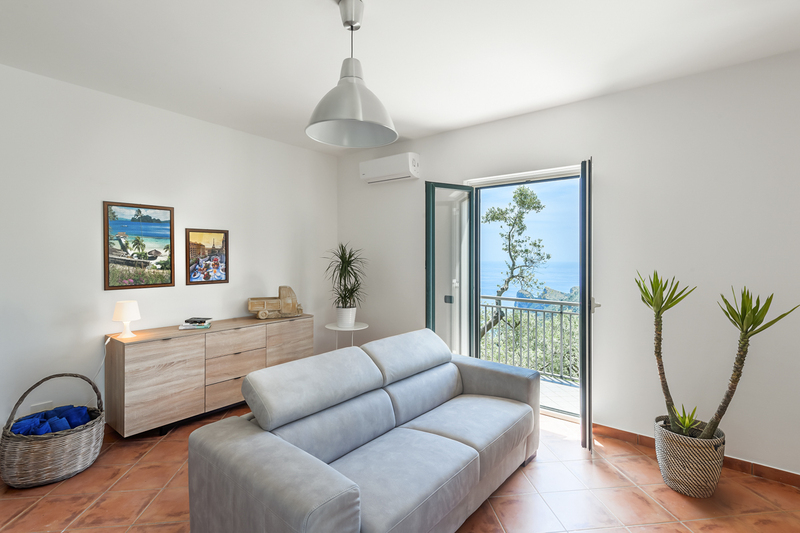 A lengthy stretch of coastline lined with some beautiful beaches is easy to reach whether you head north, south or west, where the likes of Marina di Puolo and Massa Lubrense offer breathtaking views of the Gulf of Naples. The city of Sorrento itself must surely be on your to-do list, and more than lives up to its reputation. 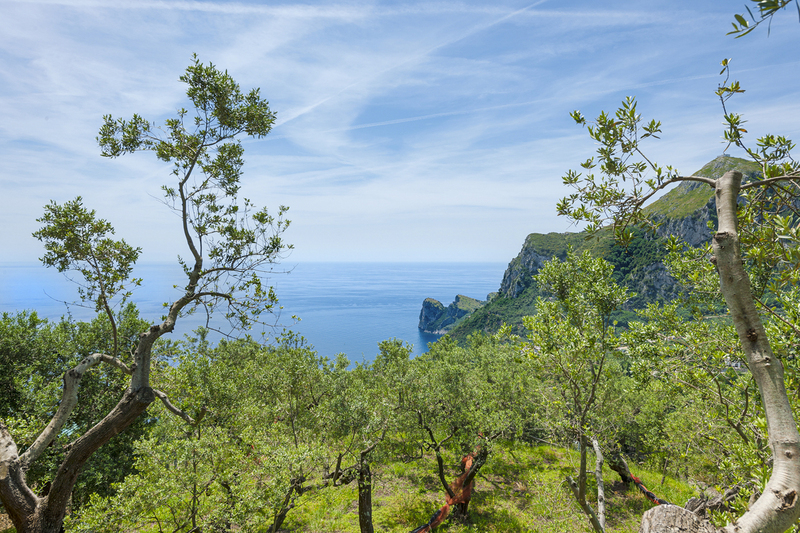 At just 12km from Sant'Agata Sui Due Golfi, it’s easy to get from one to the other in less than 30 minutes, and back to Villa Tuoro after a day spent discovering its incredible history and majestic coast. 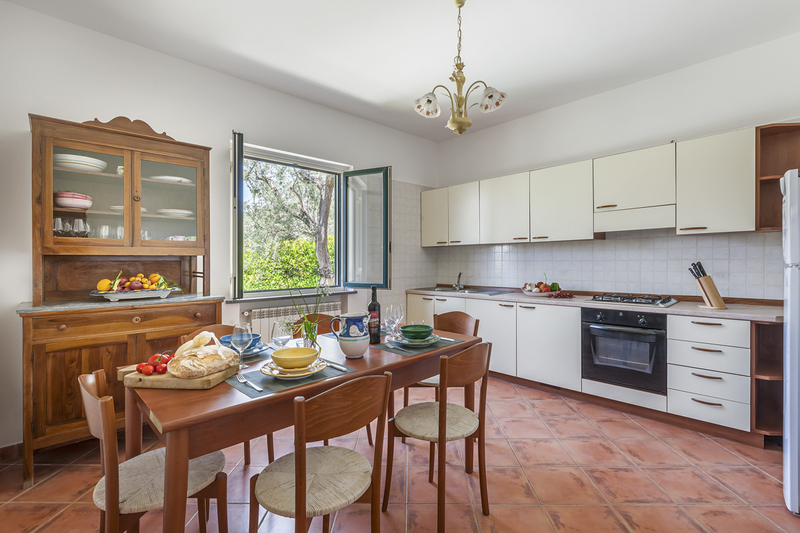 Perfect for a medium-size group, this quiet villa is set amidst own olive and lemon groves near the village of Cepano, enjoying the advantage of easy access to ever-appealing Sorrento and other towns in the area such as Sant’Agata Sui Due Golfi and Sant’Agnello. 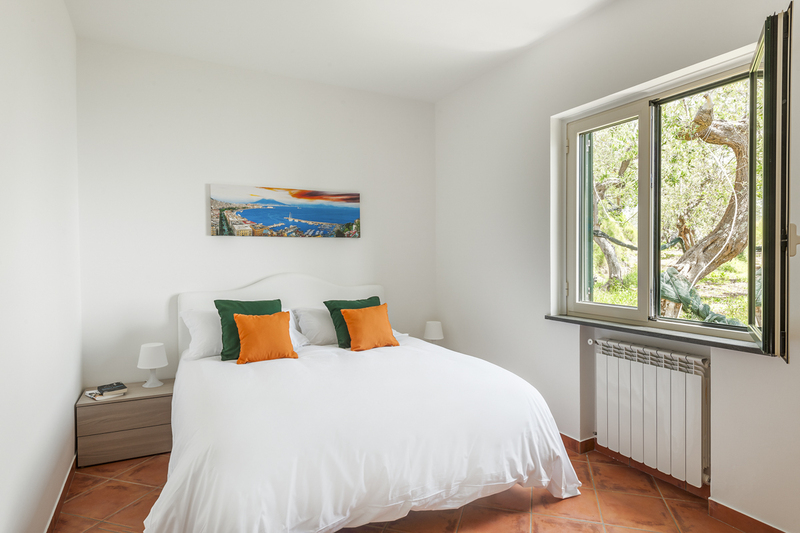 Villa Touro is just a short drive to the coast where the likes of Marina di Puolo, Punta Lagno and Massa Lubrense offer gorgeous views out across the Gulf of Naples, where islands such as Ischia and Capri can be reached by boat from Sorrento. The clear turquoise waters and golden beaches are another excellent reason to visit Sorrento, along with its many cultural offerings – be they musical or cinematic events, or museums keeping the city’s long and eventful history alive.